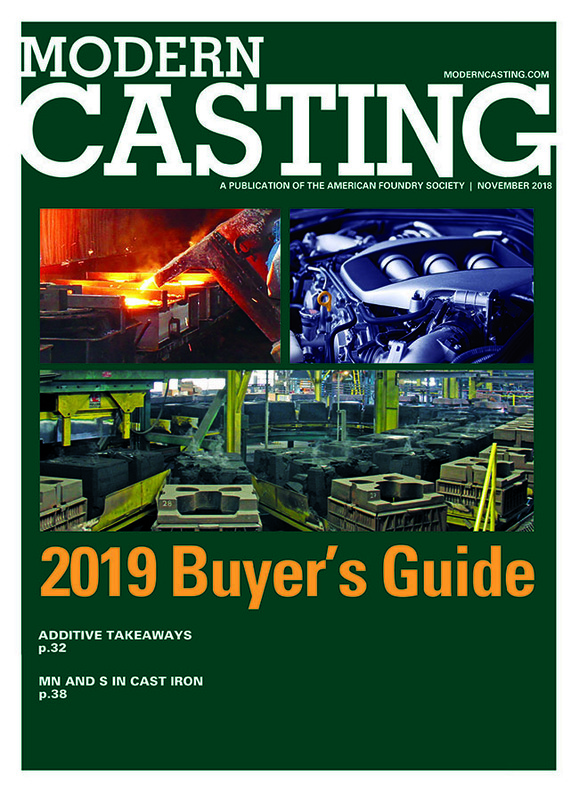 The annual Buyer's Guide issue of MODERN CASTING (November) magazine is considered the metalcaster's best reference for quickly locating equipment, supplies, and services related to casting production. The guide is filled with more than 1,300 product categories, and suppliers are quickly identified and located by product index, manufacturer's index, etc. The guide also features a product showcase, annual index of articles and a directory of all state and international metalcasting organizations. Keywords: metalcasting, foundry, equipment, supplies, suppliers, casting production.